You know what really gives me that great heaving sigh with the rolled eye balls? People who don’t get Algebra. You’ll use algebra in real life. 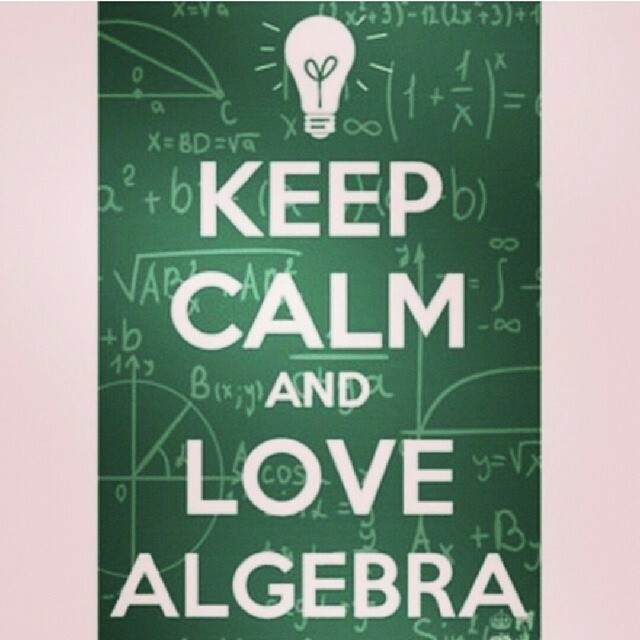 Why is it important for kids to learn Algebra? Because I had to, and now it’s your turn. Another day has passed and I didn’t use Algebra once. Algebra: it won’t help you in real life. Or how about the pie chart that shows a breakdown of real life jobs that use algebra with the entire pie taken up by one colour representing Algebra Teachers. I think it probably comes down to not liking how it’s taught, but whatever the cause, there seems to be a widespread, stubborn refusal to recognize it as one of the fundamental things our whole society is built on. Yes, that’s right, our whole society. Anytime anyone has ever created or made something new or better, there has been algebra involved at some point. Smart phones, computers, televisions, filing cabinets, furniture, houses, shoes, underwear, packaging for the bag of cookies in your cupboard, the cookies themselves… everything needed algebra to get there. Well, yes Lance, but that doesn’t mean that I use algebra personally in my life. I mean, I’m not in a science or technology field, so that stuff is pretty useless for me, really. Really? Ever have to figure out a tip? Can you get three cups of coffee for that $5 bill? How long will it take you to get where you’re going at this speed? What if you go a little faster? How many strands of Christmas lights will it take to run the whole length of your roof? How far from the door frame do you need to put that nail in the wall so the picture is centered? You may not call it Algebra, but anytime you need to figure something out and there’s a number involved, you’re using it. Sorry to shatter the world. Of course, you probably already knew this. If you clicked on a link to read this post, I would say it’s pretty unlikely you’re an algebra hater. So spread the word. Algebra is a tool for all, not just for sweeping, technological changes of vast importance, but for tiny, incremental problems in everyday life too.